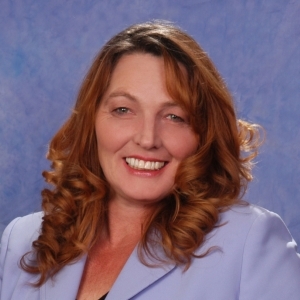 As the Nevada legislative session rolls toward its close on June 1, questions are being raised about the origins of AB330, a bill sponsored by Minority Floor Leader Marilyn Kirkpatrick (D-1). Though currently tabled, the key language of the legislation significantly overlaps a bill passed by the Arizona legislature that, according to our sources, was authored by Pinnacle West, the holding company of the utility Arizona Public Service. 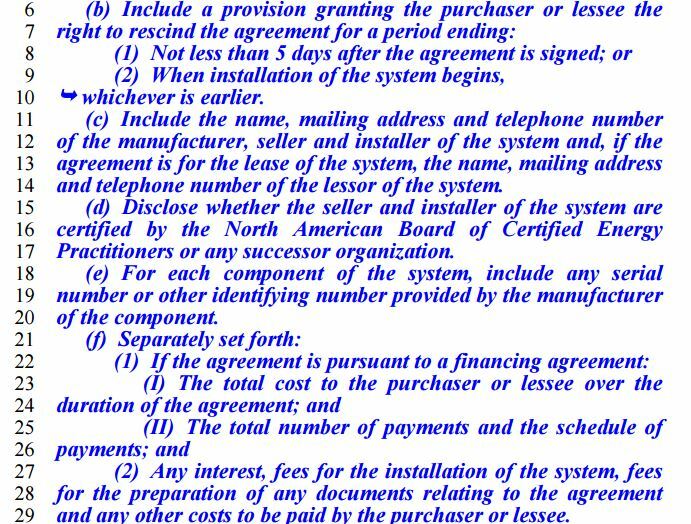 Like the similar Pinnacle West bill that was passed on March 30, 2015, Kirkpatrick’s bill, that was introduced on March 16, would require would impose extensive equipment registration requirements on the rooftop solar industry, something that many say would give an advantage to in-state utilities that are fighting the popular, fast-growing solar industry in Nevada. This raises several questions. 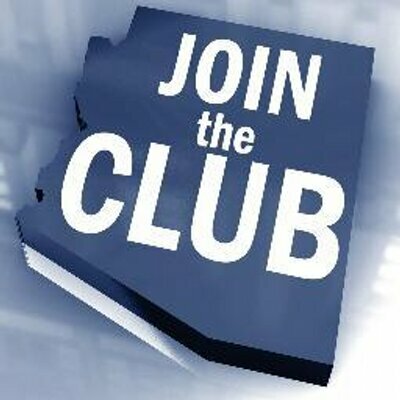 First and foremost: Why is this powerful Nevada Democrat pushing legislation that seems to have its origins with an out-of-state utility’s lobbying staff? We emailed and called Assemblywoman Kirkpatrick’s office with the following questions, on which we are awaiting comment. What public problem is this bill intended to address? What evidence exists of the problem? How do you explain the overlap in language between your bill and the Pinnacle West bill? Who first approached you about sponsoring this bill? Who provided the original draft? Which lobbyists working in favor of your bill have you worked with? Who or what companies were they representing? Do any of these lobbyists represent companies or interests that have provided contributions, gifts or perks of any sort to you or your staff? Rooftop solar is booming in Arizona and Nevada, yet curious moves are underway in those states and others to inhibit a technology that the overwhelming majority of Americans say they want. Perhaps we don’t understand the Assemblywoman’s motivation. We look forward to hearing from her. 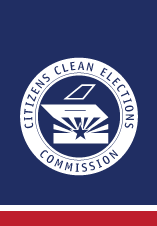 Checks and Balances Project has received a request from Arizona’s Citizens Clean Elections Commission for text message records that indicate that Commissioner Bob Stump of the Arizona Corporation Commission (ACC) may have assisted with dark money funding for two winning, pro-utility candidates in last August’s primary election. Our original research that uncovered who Stump had been texting with in the weeks leading up to the primary election was derived from records provided by the ACC in response to our records request. Electioneering of the type possibly indicated by Stump’s text logs may be illegal under Arizona law and could call into question Forese and Little’s elections. We have sent our data to the Elections Commission. As detailed in our most recent post, Stump exchanged hundreds of texts with Scot Mussi of the Arizona Free Enterprise Club, Arizona Public Service executive Barbara Lockwood, and, among others, candidates Tom Forese and Doug Little, who won the primary and general elections against candidates that supported low-cost, consumer solar. 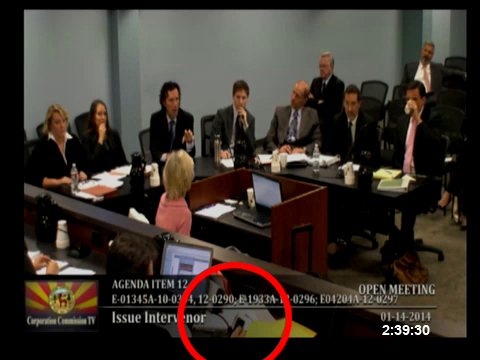 An analysis of the text message metadata of Bob Stump, former chairman of the Arizona Corporation Commission (ACC), reveals in the weeks leading up to the primary election on August 26, 2014, Stump exchanged hundreds of texts with a dark money leader, an attorney tied to Arizona Public Service (APS), an APS executive, and the two pro-utility ACC candidates who ultimately won the primary and general elections. The timing and recipients of Commissioner Stump’s text messages may lend support to the claims of whistleblower Antonio Gill that Stump knew of the dark money scheme. The office of Arizona Attorney General Mark Brnovich is investigating Gill’s allegations. But Brnovich has recused himself after receiving significant help from APS in his election. The two winning ACC candidates, Republican Commissioners Tom Forese and Doug Little, ran against two pro-solar Republicans, Vernon Parker and Lucy Mason supported by TUSK (“Tell Utilities Solar Won’t be Killed). Parker and Mason expressed their belief before the primary that APS was donating to the Arizona Free Enterprise Club to support their opponents. The utility has not denied involvement with the campaign. New information uncovered by Checks and Balances Project records requests reveal that Stump has exchanged 100 texts with Scot Mussi, president and sole board member of the Arizona Free Enterprise Club. His organization was a big spender in electing Little and Forese, and was second only to another dark money group, Save Our Future Now. Others whom Stump texted with in the weeks before the important primary election were Garry D. Hays, an attorney affiliated with APS’s Arizona Solar Deployment Alliance, and Barbara Lockwood, APS’s General Manager for Regulatory Policy and Compliance. As Commissioner Stump received reimbursement for his Verizon cell phone on which he sent and received text messages, if he was organizing funding for Little’s and Forese’s campaigns, was he involved in illegal electioneering using public funds? What is the content of Stump’s text messages with Mussi, Hays, Lockwood, and the two commissioners? We hope to find out very soon. According to a Verizon senior customer representative, if the text messages are subpoenaed by an attorney, and a judge agrees, the entire text of the messages will be provided. 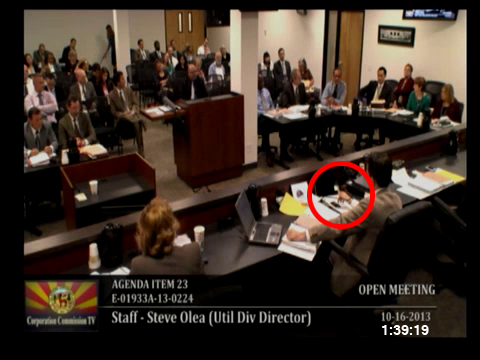 Overall, Stump sent or received 36,762 texts during a 17-month period from roughly July 2013 to March 2015 – the most contentious period of solar debate in Arizona. Stump used personal email for public business. Stump met regularly with top APS executives who are registered as lobbyists. Stump had a chummy email relationship with APS’s Barbara Lockwood, who even went so far as to warn him about the pro-solar TUSK group’s phone bank for the two pro-solar GOP candidates. During an earlier two-month period – October through November 2013 – when Arizona became the first state to establish a monthly utility fee for residential rooftop solar customers, Stump sent or received 7,832 text messages. That’s an average of 70 text messages per day! Who was he texting with during this period? We may know soon. As part of our Captured Regulators Initiative, Checks and Balances Project is scrutinizing the actions of public utility commissioners in several states. Electric utilities around the nation are now attempting to replicate Arizona’s historic rooftop solar fee in a wave of attacks on net metering. But does that effort by utilities benefit the overwhelming majority of consumers who want low-cost solar or the financial interests of government-supported monopoly utilities? Former Secretary of State Hillary Clinton was rightly questioned for holding out on efforts to get policy-relevant emails she sent from a personal email account during her term at the U.S. State Department. 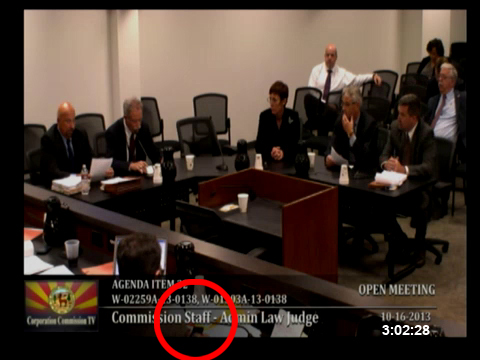 So far, Commissioner Bob Stump, his Policy Advisor Amanda Ho, and the Arizona Corporation Commission (ACC) legal staff appear to be engaging in Clintonian-style slow-walking of basic public records requests. 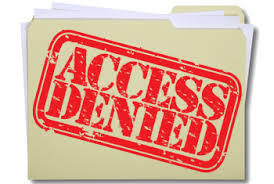 Despite our request on March 11, 2015, for public or private email records of Amanda Ho, Commissioner Stump’s policy aide, about solar energy or net metering in Arizona with any representatives of Arizona Public Service Company, we’ve been met with silence. It took nine days and a phone call for Stump’s office to acknowledge our March 11, 2015 records request. After we announced that C&BP had retained Arizona’s leading public records attorney to prepare a lawsuit to enforce public access to public records, the responses have been dripping in from former Chairman Stump. But nothing so far from Ms. Ho. 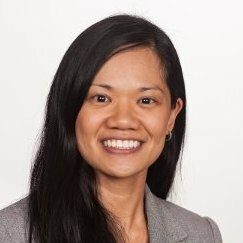 Despite being a young, tech-savvy and ambitious statewide politician, the commission initially asserted that Stump sent only two emails to any representative of Arizona Public Service for nearly a year and a half on the hottest topic before the ACC at the time – low-cost rooftop residential solar energy for consumers. That’s two emails in a nearly year and a half. When our attorney, Dan Barr of Perkins-Coie, pressed the commission for a more truthful accounting six weeks after our initial request, the ACC provided 10 more emails from Stump to APS. Lockwood passing along an email from the pro-solar TUSK (“Tell Utilities Solar Won’t be Killed) group about phone banking for pro-solar, Republican candidates for the commission (who were ultimately defeated). Stump informing Lockwood about an anti-utility bill headed to the Arizona legislature. Stump asking Lockwood for materials that he can use at an Edison Electric Institute conference. “Any materials you can send as soon as possible would be great,” writes the Commissioner. While the emails with APS’ Lockwood seem chummy, the real question concerns the commission’s assertion that Stump emailed the utility so little and Ms. Ho emailed not at all. It’s worth noting that during Stump’s chairmanship, Arizona became the first state to establish monthly fee payables to a utility by consumers who want low-cost rooftop solar. Stump turned over the chair’s gavel to Susan Bitter Smith on January 15. His term as Commissioner ends in 2016. In a previous post, we’ve demonstrated that the top officers of APS – who are registered as lobbyists with the Secretary of State – met with the Commissioner repeatedly during the 17 month period of our records request – which was the hottest period of the solar debates. The number of meetings that have been blacked out from Commissioner Stump’s public calendar is significant. Yet Stump declares that neither he nor his policy aide ever emailed these top officers – not even from his private Gmail account where, judging from what seems like a very limited set that has been provided to us, over half of his emails to APS originate. Under Arizona Records Law, if you are a public official, you have an obligation to respond fully to records requests. This is fundamental legal right of the public and it needs to be enforced. Regrettably, we may be forced to find out through a court what Commissioner Stump and his Policy Aide Amanda Ho may be hiding. The Arizona Republic published on Sunday, May 3, 2015, a lengthy front-page article by Reporter Ryan Randazzo that examines continuing questions of impropriety by the Arizona Corporation Commission, including allegations by whistleblower Antonio Gill. 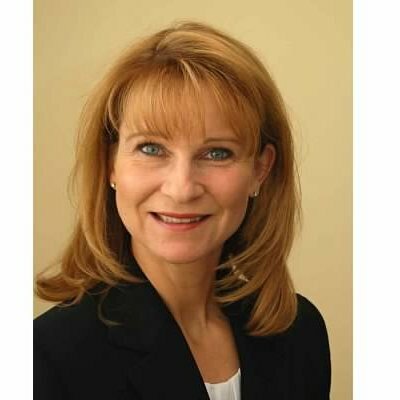 Among the claims by Gill are that former Commission Chairman Gary Pierce took part in approximately 14 secret meetings, which Gill arranged as his assistant, with Donald E. Brandt chairman of the board, president and chief executive officer of Pinnacle West and Arizona Public Service (APS). Gill alleges some of these conversations broke rules on ex-parte or unauthorized communications during rate review cases. The second half of the article contains what is perhaps the most explosive charge. 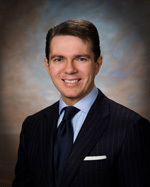 In September 2013, Pierce successfully advocated for APS’ position that the commission should stop exploring retail competition for electricity. One month later, APS’ top lobbyist, Jessica Pachecho, reserved a room at Phoenix Country Club for a fundraiser for Justin Pierce, Gary’s son, who was running for secretary of state. Justin Pierce lost and opponents claim about $465,000 was funneled through dark money groups to support Justin Pierce by APS – an allegation the utility has not responded to. In our Captured Regulators Initiative, Checks and Balances Project is looking at former Chairman and current Arizona Corporation Commissioner Bob Stump. During his chairmanship, Arizona became the first state to establish a monthly fee payable to a utility by consumers who want low-cost rooftop solar. It was a high-stakes fight for APS, the state’s dominant utility, and one the utility badly wanted to win. The Randazzo article details four meetings by Stump with APS CEO Don Brant and one with former President Don Robinson over eight years. 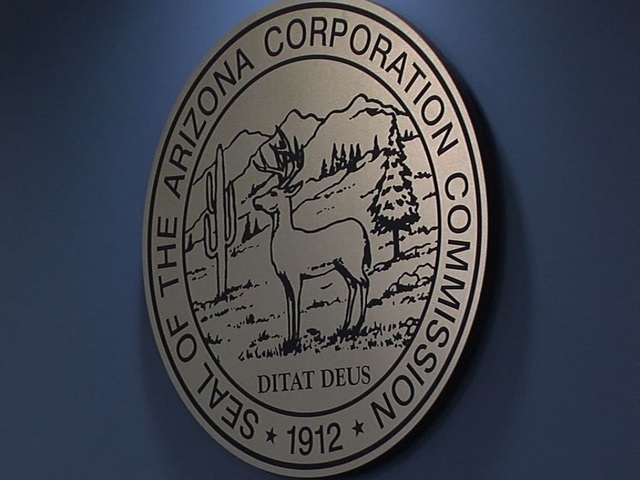 Supplemental information derived from our records requests show that the estimate in the Arizona Republic’s article of APS’s lobbying force working the commission is quite conservative. In just the 17 month period from July 12, 2013 through March 10, 2015, Commissioner Stump met with APS’ Don Brandt, Chief Operating Officer Mark Schiavoni, Senior Vice President Jeff Guldner, or Manager Stacy Aguayo at least 12 times. 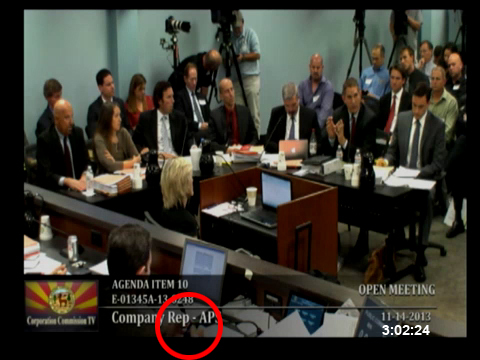 All are registered with the Arizona Secretary of State as APS lobbyists. Were we able to total up meetings over eight years with all commissioners, we expect the numbers would be much higher. Other meetings with APS representatives who are not registered lobbyists but involved in specific projects are not included in this total. They include meetings with no specific person indicated, such as a Sept. 3, 2014 entry, “APS meeting re: Supplemental Application (Utility-owned DG) in the RE…”; a meeting with Barry Aarons, a former registered APS lobbyist, who met with the Commissioner on Sept. 11, 2014, to discuss “APS filing solar panels”; and meetings with APS’ Barbara Lockwood, General Manager for Regulatory Policy and Compliance, who met with Stump 13 times since March 2014. The number of meetings on Commissioner Stump’s public calendar that have been hidden or “redacted” from public view is quite large. For example, in the two month period after Don Brandt met with Commissioner Stump on July 30, 2014, there are 172 meetings on the commissioner’s calendar. Yet 50 meetings or 29% of the total are blacked out or redacted. Under Arizona Records Law, if you are a public official, you have an obligation to respond fully to records requests. This is a fundamental legal right of the public, and it needs to be enforced. Is this what has happened in Arizona? In the days and weeks ahead, we hope to find out.